The Night of the Hunter is amazing, and unfortunately it is the last film directed by Charles Laughton. This film famously was a critical flop and box office disappointment after it was released in 1955, and as a result, Laughton never directed a film again. I feel quite sad when I think about this, because when you consider just how amazing this film is now, who knows what else Laughton could have gone on to achieve. If Laughton was this talented a director on approximately his second film, imagine the heights he could have risen to. Kind of like how I feel when watching Jodorowsky’s Dune (2013), I feel a sort of grief for something that never happened. That’s how good The Night of the Hunter is. The Night of the Hunter is simply a magnificent film. It has the feel of a true film noir – creepy, dark, sinister, suspenseful, murderous – and a beautiful screenplay to match. Robert Mitchum plays the perfect villain in Harry Powell; a psychotic preacher whose love of harsh, fundamentalist religion is only surpassed by his love of robbing widows of their money. This is one of Mitchum’s best performances, and possibly one of the most iconic villains in film history, with Powell’s knuckle tattoos (and the story behind them) and superior, domineering presentation being particularly memorable aspects of his performance. Another highlight of the film is legendary American actress Lillian Gish as Rachel Cooper; a foster carer of sorts, a passionate advocate for and protector of children in her care. From the very beginning, we get an excellent setup of the conflict, with a nice cameo from Peter Graves of Mission: Impossible televison series fame. We know from the beginning that Harry Powell is someone who is to be feared. 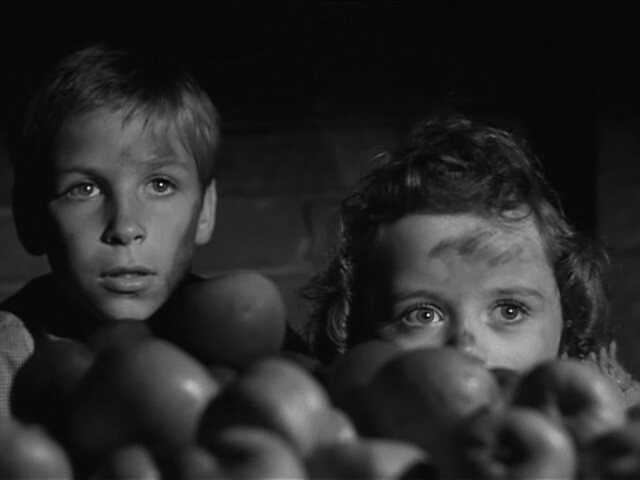 But watching this dynamic play out in the faces of two children is one of the more disturbing aspects of the film. The film features excellent child acting from one Billy Chapin as John Harper; the young boy trying to protect his sister from Powell, and protect his father’s secret. Unfortunately, this is counterbalanced by some really poor child acting by Sally Jane Bruce as little Pearl. But it’s fine because she’s very cute and endearing. The legend goes that Laughton did not get on well with Sally Jane Bruce, and that some of her scared faces in the film are actually the young actress candidly responding to Laughton’s direction. 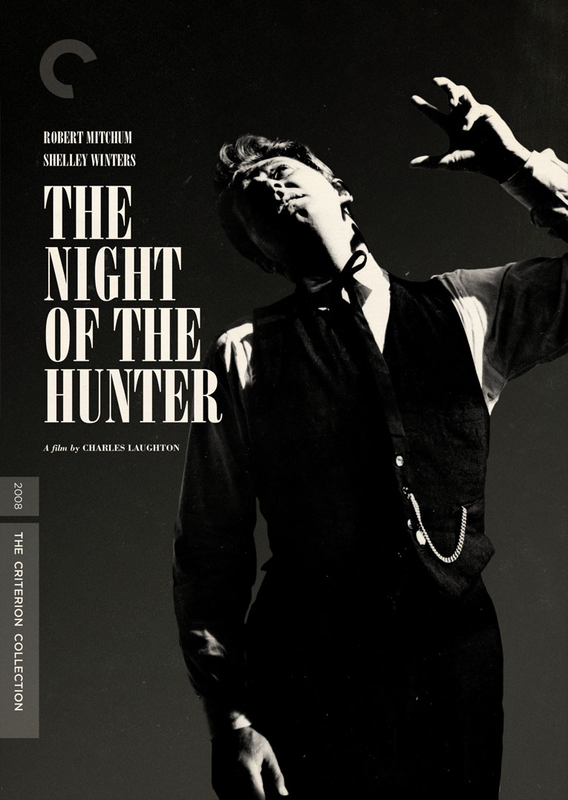 I mention above the sense of grief at the fact that Charles Laughton did not direct any more films after The Night of the Hunter was subject to a disappointing critical response after its initial release in 1955. One of the reasons why I feel so upset about this is as a result of the film’s amazing visuals and creative elements. It hurts my feelings that we won’t see more of what may have just begun to blossom in this film. Visually, the film is represented so artfully on screen. The direction by Charles Laughton is nothing short of beautiful, and the cinematography by Stanley Cortez is stunning. Every scene is so artfully composed, with a particular preference towards mirror images and shots with visual symmetry. The film is shot in black and white, but as a result of the expert use of light and shadow, each scene has such gorgeous texture and visual layers that sometimes you feel you can perceive the colours anyway. There were some shots where my jaw just dropped open in terms of how beautiful they were. 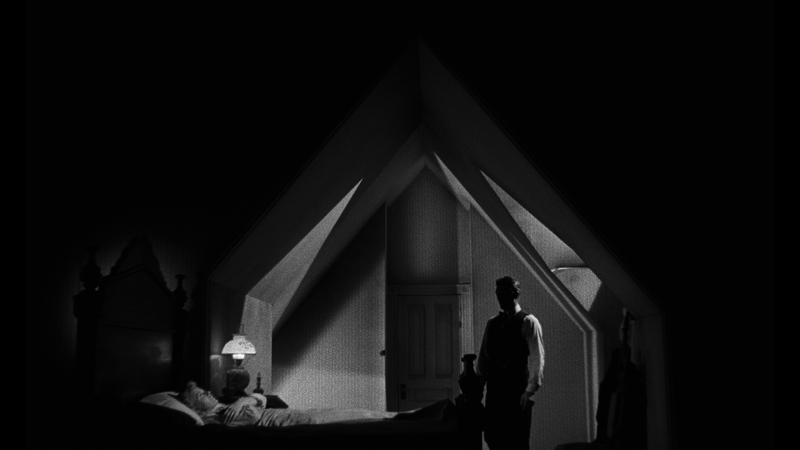 The Night of the Hunter is nothing short of a visual success, with a beautiful score and clever editing as well. There is a reason why The Night of the Hunter is hailed as one of the greatest films of all time – because it is one. The film is filled with stellar direction and cinematography, a truly scary villain who will probably haunt your nightmares as well as the nightmares of the children he has singled out and traumatised in the film, some great child acting (however, also some not-so-great child acting), and a story that drags you along by the scruff of your neck. I’ve only seen this film once but I feel it’s one I will be rewatching for a long time. I love Mitchum (you seen Out of the past?) Can’t believe I haven’t seen this. It’s on my radar now for sure. Never seen Out of the Past, it’s on the list now! You should definitely see this. It is amazing. This movie is one of my all-time favorites. It’s heartbreaking to imagine what Laughton might have done if critics and audiences realized what they had with this film at the time. The sequence where Gish and Mitchum are singing dueling hymns in the dark, Gish holding a shotgun while seated in a rocking chair cloaked in shadow, is one of the most haunting and gorgeous scenes ever filmed. Oh my gosh, the singing part was so chilling. Such perfect atmosphere. I’m honestly really upset that Laughton didn’t make any films after this one. Glad you loved it. Such a tremendous movie and an absolute knockout performance from Robert Mitchum. Tremendous is the perfect word for this film! You’re sad about the dismal reaction, I’m livid. You have to wonder what film they were watching. Makes me so angry thinking about it. Seriously! Those critics must have had truly poor taste.